Oh noes! I went on vacation (*gasp*) and am super late with this review. As much as I was crossing my fingers that I would get to review these, I was also wondering just how much I would end up using them. As a gamer, I end up using a headset a lot…but that means I’m using a device that has a microphone more often than a regular pair of plain headphones. I'm also prone to getting headaches from big, bulky earphones, so I wanted to try them….but I also knew I may have to gift them away to someone else after I was done with the review, by no fault of theirs. Instead, though, these turned out to be pretty awesome. I did have a friend try them, too, who is much pickier about sound quality than I am, just for the sake of making sure I wasn’t oblivious to any possible issues with them, and they were actually impressed! 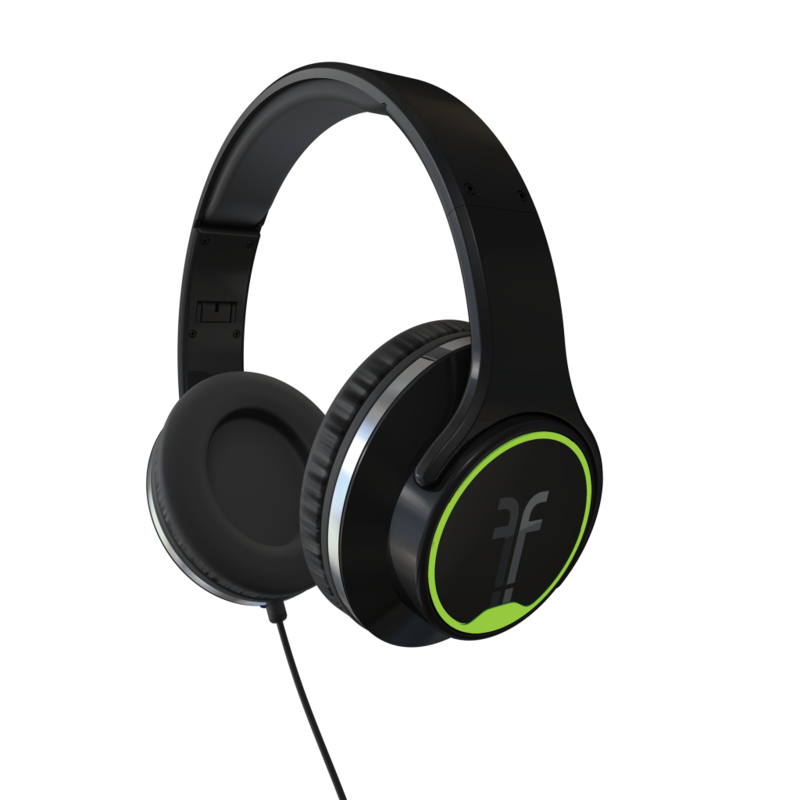 The whole idea before “flips” is that you can wear them as headphones and block out all the sound around you….and then with a flip of the earpieces, they face out and become speakers. No buttons to click. No swapping cords or sound devices in order to turn your speakers on instead. Just FLIP! Oh, and while I know this is NOT the point of the product, one of my favorite parts is actually that black and green case up there. I’ll admit, even during a review like this, I didn’t carry the headphones in the case. Instead, I put all my other little cords and gadgets in it because it was a hard plastic that would protect them, hehe. While my Flips are hanging on rack next to my desk, the case is on the other side, holding things like my camera and flash drives. 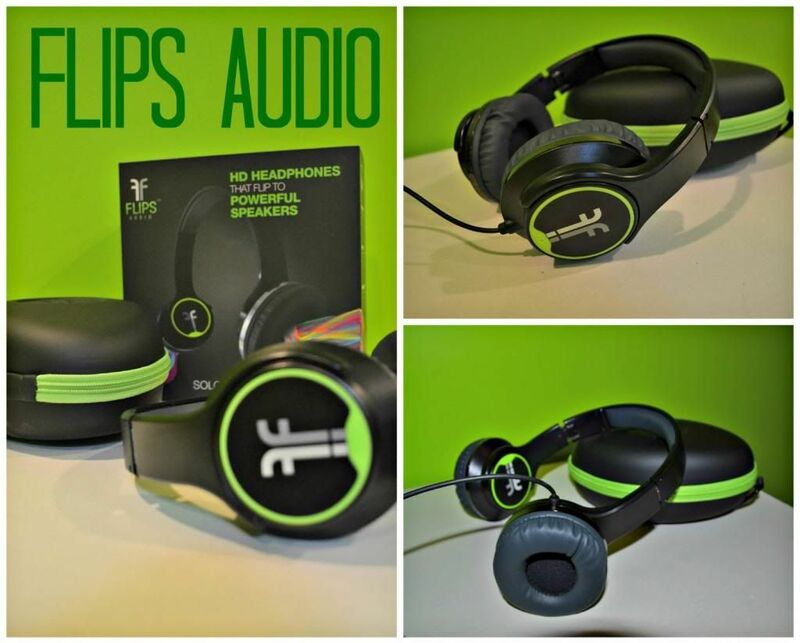 Purchase online at: http://www.flipsaudio.com/ and use the code FA0010INT. You’ll save 10 bucks and get upgraded rush shipping for no extra cost. Disclosure: Obviously Flips sent me these, via FuelMyBlog. All of the standard stuff about opinions being my own can be assumed. After all, if they were Flips’ opinions, they probably wouldn’t have admitted to putting other gadgets in the case, nor would they have been so crazy late getting it to you!